In the last episode of "The Walking Dead", we were mainly dealing with the ghosts of the past. In episode 15 showrunner Angela Kang presents us with full force the ugly present. It really is all about the already teased Fair Trade – and what exactly that means, you read in our review. 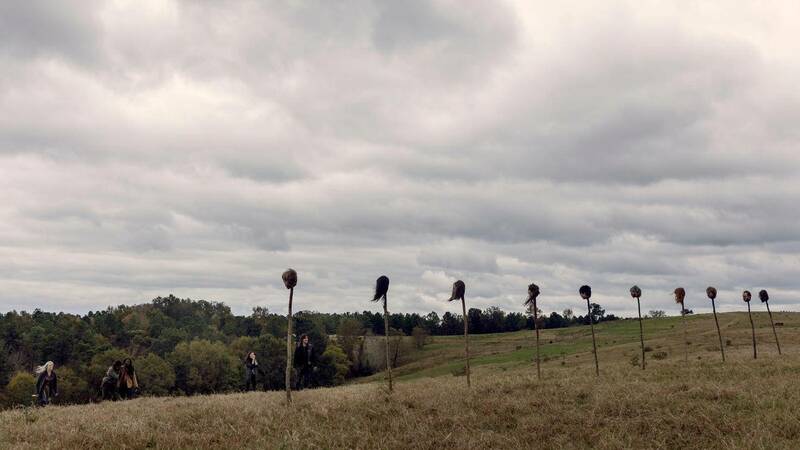 The following article is full of spoilers for season fifteenth episode "The Walking Dead." Read more at your own risk. For what exactly she needs it, comic readers can already think at this point, everyone else learns it a little later. Because first it says in the current episode of Season 9: The fair is open! Obviously pompously proclaimed by Ezekiel and honored by Rick, Carl and Jesus. So much time has to be. While the whole episode of the episode "The Rest Before It" plunges into the happy market, Ezekiel, Carol and the group of Michonne and Daryl, who meanwhile have finally arrived, are putting their heads together. Because the outer threat of the Whisperer has brought the communities together again. 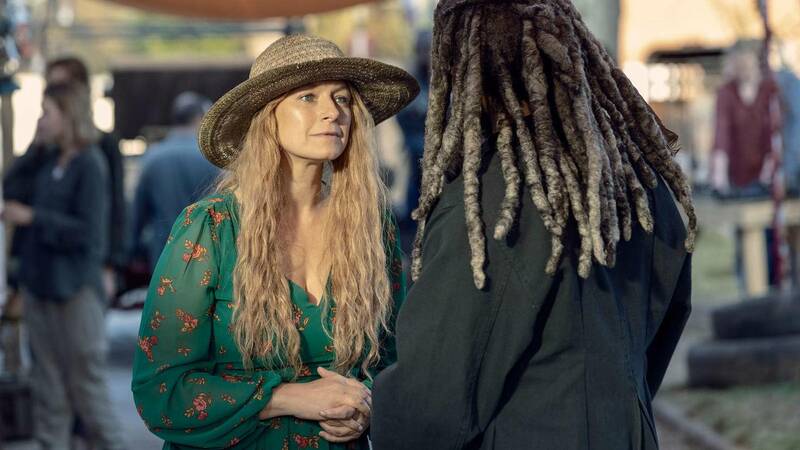 Even Michonne, after her cathartic experience in episode 14, seems to be finally herself again and fully behind the community. Angela Kang seems to want to scream out loud with the conversations of the characters built here: Not (only) the threat from the outside is what forges the connection between the communities. They are years of shared survival, gallons of each other and blood shed together, and the emotional ties that have been made. Why the coming losses (yes, plural!) In this penultimate episode of season 9, the characters will hit particularly hard. 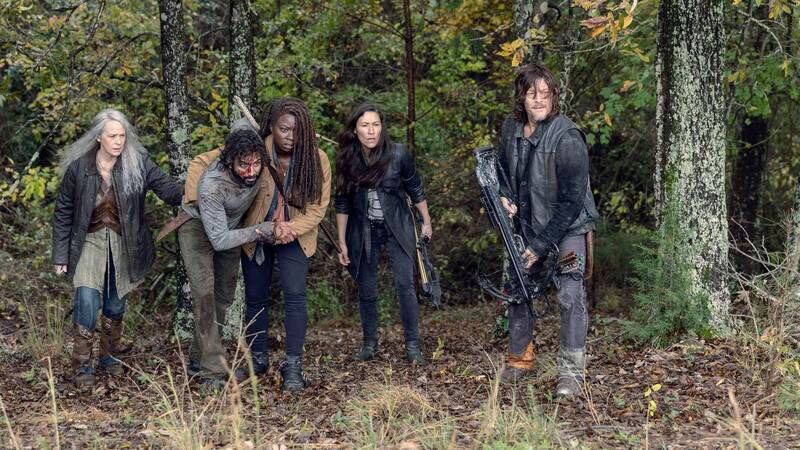 But we're not that far yet, as Michonne, Daryl, Carol and Yumiko set off for Hilltop to help counter the potential Whisperer threat. They meet Ozzy and some of his highwaymen who have found the remains of Hilde's and Miles' Hilltop cars. 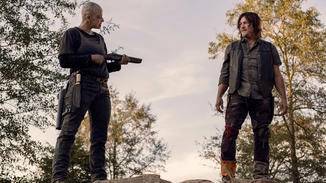 In search of the missing, the group separates again – and it is almost logical that Daryl and Co. run in the lead brave in the midst of betas case … That is understandably still bad to talk to Daryl (who wants to in one Elevator shaft to be thrown ?). But it gets really nasty, as even alpha with bloody knife on the plan occurs. 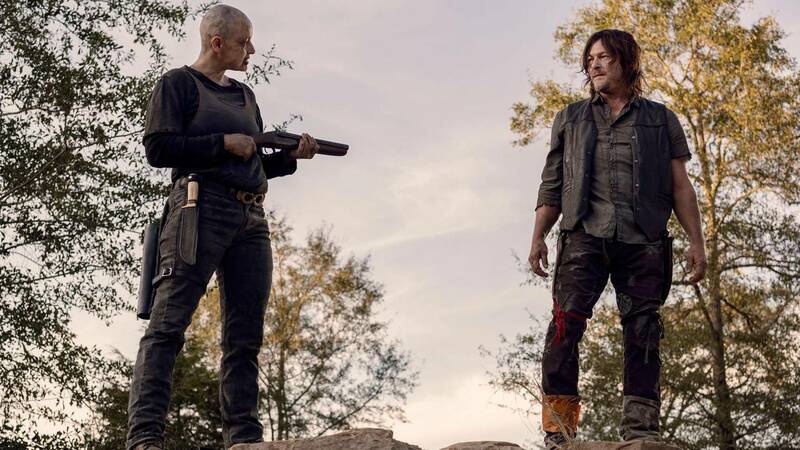 "We need to get rid of you urgently"
The leader of the Whisperer is not pleased with Michonnes and Daryl's militant comments, noting that she is unwilling to be threatened by them. A little lesson in their opinion is therefore only appropriate. 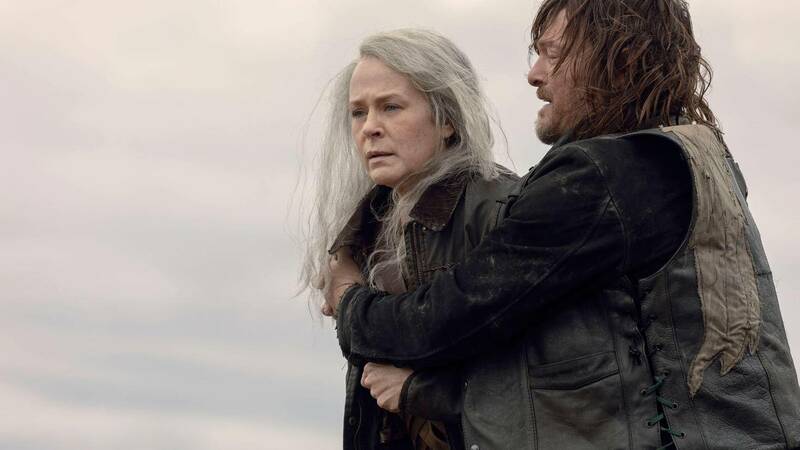 And as if the biggest biter herd in the story of "The Walking Dead", which she presents to Daryl, would not be enough, we as viewers also get a look back at Alpha's little excursion into the kingdom. It's almost a bit too obvious "Game of Thrones" reference as the leader of the Whisperer sneaks through the kingdom unrecognized in the following flashback. 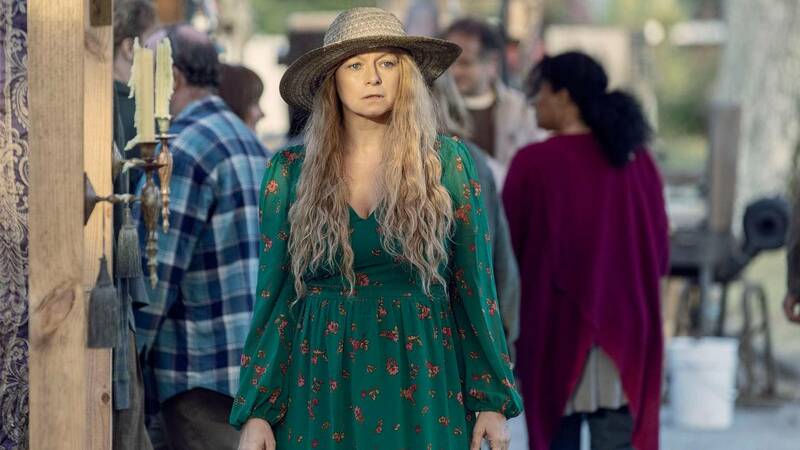 Because thanks to Hilde's long blond curls, Samantha Morton's top villain at this moment probably has not just coincidental resemblance to Cersei Lannister (before her short hair cut). When she hypocritically deducts with Ezekiel the remark, "I have the feeling, it's coming a hard winter", I think so, "Ok, that was it for the king now" – but Alpha has it contrary to earlier Do not tease the ruler of the kingdom. Exactly what happens in Episode 15, we learn only to the very end of the episode. But until then, showrunner Angela Kang not only provides us with various other moments of tension, but also several bad hints. And even in episode 15, Alpha has made every effort to leave as deterrent a warning to their adversaries. 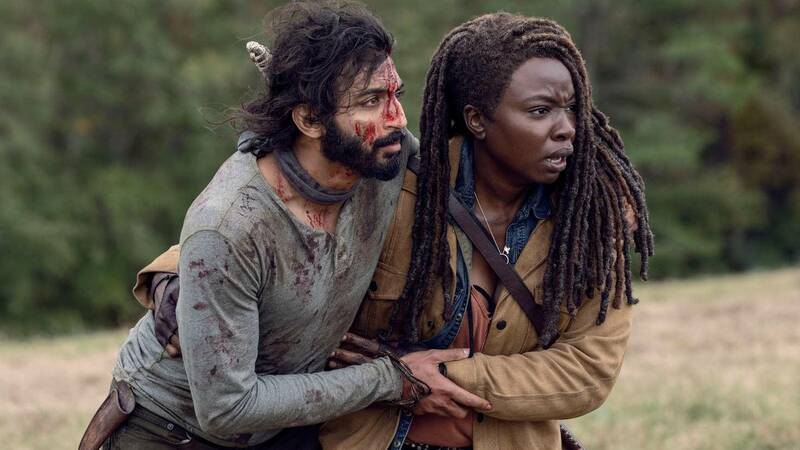 After Carol, Michonne, Yumiko and Daryl have unexpectedly found the injured Siddiq in the forest, there is already a row of no less than ten (!) Stakes waiting for the group. Especially hard: In addition to some not so central figures and newcomers including Ober-Highwaymen Ozzy, it has also met Tara, Enid and Henry! A sight that left me frankly with a pretty big lump in my throat. Contrary to Alpha's plan, Siddiq's report back in the kingdom, but not for the renewed fragmentation of the communities. On the contrary: Siddiq tells of the militant last moments of the dead, as they are for each other. Everything underlaid with pictures of the associated fight scenes. Goose bumps are almost inevitable here and make Episode 15 end on a hopeful, rather than a touched-down note. 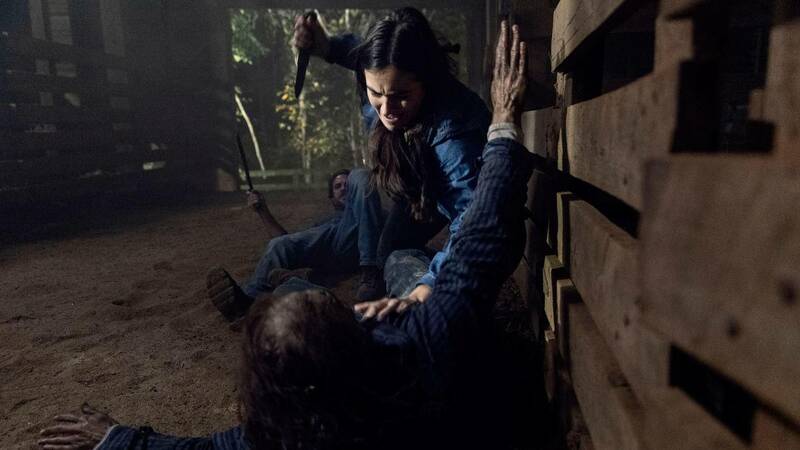 Overall, Angela Kang's "The Break Before It" episode epitomized one of the strongest "The Walking Dead" episodes in years. Without relying on open bloodshed and carnage, she manages to create such an atmosphere of tension and emotion that, as a spectator, one is tied to the edge of the chair until the last minute. Even in the moments when everything still seems to be good, there is a threatening undertone that is hard to pin down, but just as undeniable. All in all, big series cinema and a more than promising set-up for the upcoming season 9 finale next week. And with the first tentative snowflakes in the end Kang also takes on a long-standing desire of many fans: The winter has arrived in "The Walking Dead" in Episode 15 not only symbolic. And who is taking over Carl's comic act now ?! Finally winter in the zombie apocalypse. 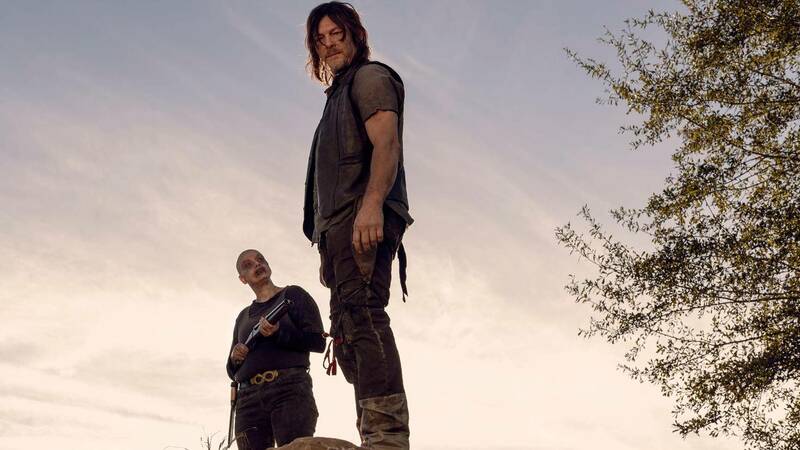 Does Alpha know that she's just got herself a pretty mean enemy with Carol? Ok, with Tara, Enid and Henry, I really would not have (seriously) expected.